CONTRACTORFIND.co.za™ is proud to showcase only the best, registered and certified Paving Contractors in East London. Need qualified Paving Contractors for the job? CONTRACTORFIND.co.za™ is the place to find them! All the listed Paving Contractors below have been screened and certified, ensuring that their service and quality is the best in East London. 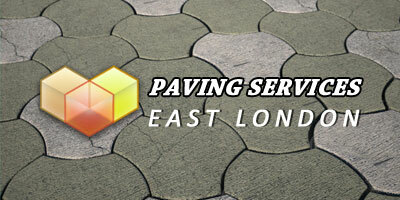 Find the top Paving Contractors in East London now. ALGOA TAR & CIVILS WAS ESTABLISHED AS AN SMME BY JOINING A GROUP OF HIGHLY SKILLED EMPLOYEES WITH YEARS OF ON HAND EXPERIENCE SPECIALIZING IN ROAD CONSTRUCTION, WATER, STORM WATER AND SEWER PIPELINES, BULK EARTHWORKS, CONCRETE FORM WORKS, LANDSCAPING, SPORTS FIELD DEVELOPMENTS, COMMERCIAL AND RESIDENTIAL COMPLEX DEVELOPMENTS. OUR CUSTOMERS ARE REST ASSURED THAT THE PROJECT WILL BE COMPLETED ON TIME AND WITHIN THEIR BUDGET. We specialize in paving for driveways,parking bays,pathways,patios.